One of the most important areas to maintain in your RV is your tires. They take a lot of wear and tear, are exposed to all kinds of weather, and are what keeps you safe as you travel along the highways. There are a few things you can do to keep your RV tires in tip-top shape. Check the condition of your tires often. 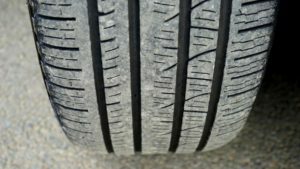 Not only the wear on the tires and how the tread looks but also the condition of the rubber. You may find that you still have good tread on a tire but the rubber has weathered and they need to be replaced. Proper alignment is critical if you want your tires to wear evenly. If misaligned you will see wear on one side of a tire and not the other. Take your rig to a trusted RV repair facility to have the alignment corrected if you see that your tires are wearing unevenly. Make sure your tires are inflated properly. Never check them when they are warm from travel. Wait until the tires cool down because this will affect your tire pressure reading significantly. Use your RV manual or the tire manufacturers recommendations for tire pressure. If you’re not sure, call a dealer to get the correct readings for your tires. Evenly distribute the weight of your RV. Your tire wear can be greatly influenced by uneven weight distribution in your RV. You can weigh your rig at a weigh station and you can even weigh each tire. It’s a good idea to get rid of any unnecessary items in your rig before you travel. Replace your tires as soon as needed. It can be tempting to try and make them last but it can also be dangerous. Your RV dealer will be able to tell you the average time you should take between tire changes. You should follow their recommendations. We hope your travels are safe and we look forward to seeing you around the campground. Be sure to call us for a reservation as soon as you know your camping dates.